MedMen‘s cannabis curator, Josh Shlenker, surveyed the strains of the season and picked his top five, then a team of EMBER cannabis experts reviewed each for fragrance, quality and effects. Enjoy! This sativa strain from South Africa is joyful and surprisingly mellow with a floral scent. One reviewer wrote that it‘s perfect for a “solo hang,” i.e. eating “delicious food and watching your favorite ‘guilty’ TV show” (adding, “I put guilty in quotes cause I didn‘t feel ‘guilty’ on this, I just ate an ice cream sandwich and watched Real Housewives of New York”). Another reviewer tried it on a weekday at home and felt renewed interest in work and serene as a cat in a bag. She did not want the feeling to fade and six hours later was still contemplating just one last puff. A hybrid with moss-green buds and a mild, grassy aroma, this California native simmers at a pleasant, steady pace, giving one reviewer “a nice kind of swimming-pool sensation.” Another found it super chill, especially when paired with the soundtrack from Phantom Thread. This kush has elastic properties: feeling he could listen to music all night, one reviewer remembered he had an early morning call and pulled all of his good feelings around him like a blanket before falling into a well-rounded sleep. Another smoked this at a cocktail party and was thoroughly absorbed in conversation, but kept forgetting what she was saying (“phantom threads” indeed). Consensus on this green-brown basily-smelling bud is that it announces itself with a healthy aggression. Suddenly the world seems rich and fecund. There was a lot of laughing when two reviewers found themselves in a Lyft being taken on a wild ride through the Hollywood Hills by a driver who seemed to inhabit their exhilaration and sudden lack of navigational skill. Life seemed like a mad adventure. Other researchers enjoyed concerts and friends, felt creative and were creative. One overslept and was an hour late picking up friends at the airport (which is a cheeky ask anyway). 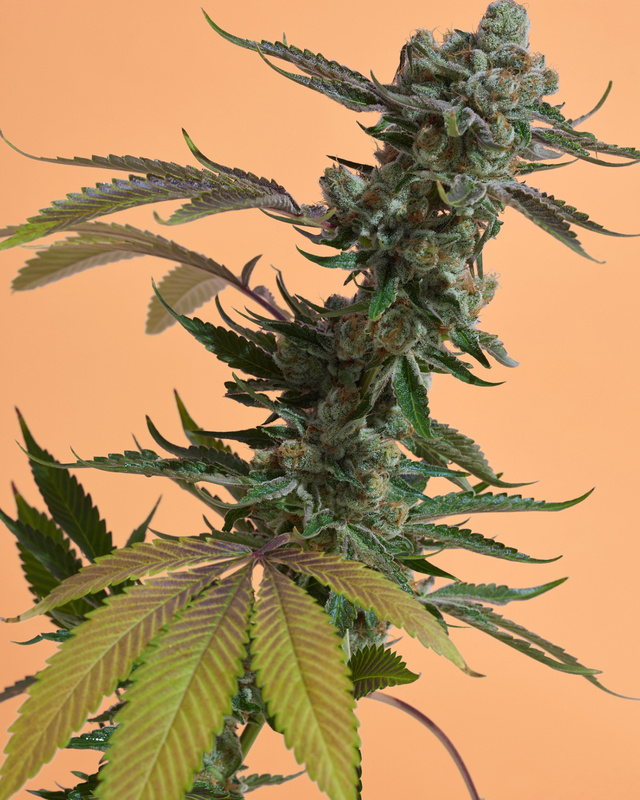 Dark and peppery, this hybrid starts out light and quickly reveals its indica nature. A reviewer reported she was “up stoned” with light, effervescent feelings and the impulse to dance. The plank lowers fairly quickly, though; other reviewers noted they soon felt like wedding cakes melting in MacArthur Park. Amenable to sleep, though you might arise to a slightly cakey residue.